The software you use, integrated with Buddy Punch. We strive to make Buddy Punch work seamlessly with the tools you and your team use on a daily basis. Through partnerships and integrations, we have increased the power of Buddy Punch to make coordinating with your team even easier. Which tools does Buddy Punch integrate with? Zapier helps you connect Buddy Punch with 750+ other apps. Need to punch employees in via a Google Sheet? Want to have your employees text a specific message to punch in? It can all be accomplished with Zapier. Take a look at our setup guide for instructions. We have both QuickBooks Desktop and QuickBooks Online integrations. Sync your employees and transfer time from Buddy Punch to QuickBooks with just a few clicks. Visit our help area for instructions on how to use either integration. If you have ADP Workforce Now we have a flat file integration. 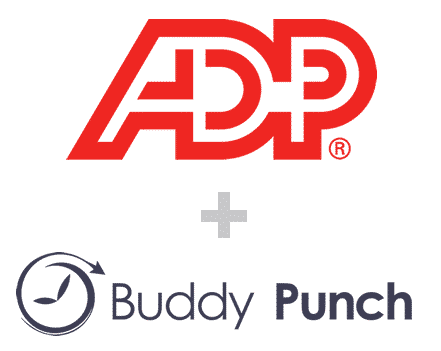 Export the file from Buddy Punch and import it into ADP Workforce Now to instantly populate all of your hours and PTO. For setup instructions visit our ADP documentation. If you have Gusto account we have a flat file integration. 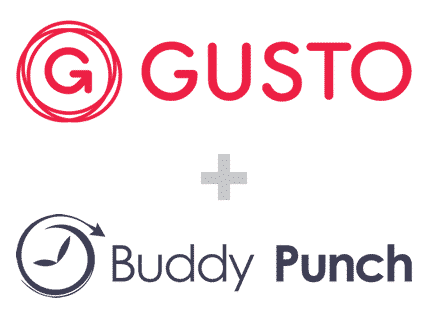 Export the file from Buddy Punch and import it into Gusto to instantly populate all of your hours and PTO. We are working on a direct integration with Gusto, so stay tuned! If you have Paychex account we have a flat file integration. 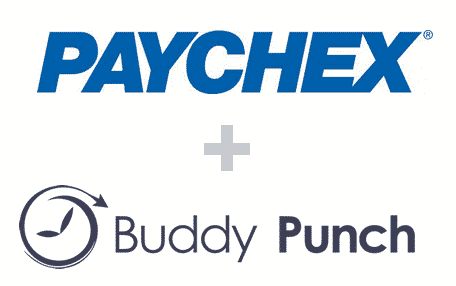 Export the file from Buddy Punch and import it into Paychex to instantly populate time. We have a guide on how to import the file into Paychex as well. If you have a Paylocity account we have a flat file integration. 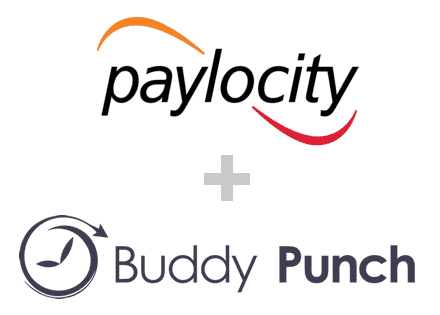 Export the file from Buddy Punch and import it into Paylocity to instantly populate all of your time. Visit our setup and import guide in our help area. If you use PayPlus for your payroll we have a flat file integration. 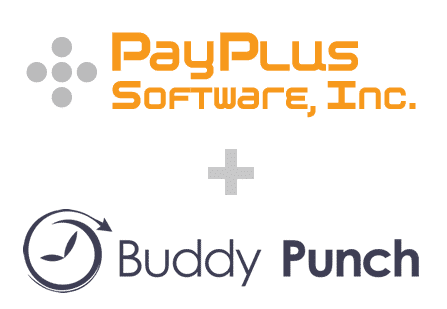 Export the file from Buddy Punch and import it into PayPlus to instantly populate all of your time. If you SurePayroll for payroll we have a flat file integration. 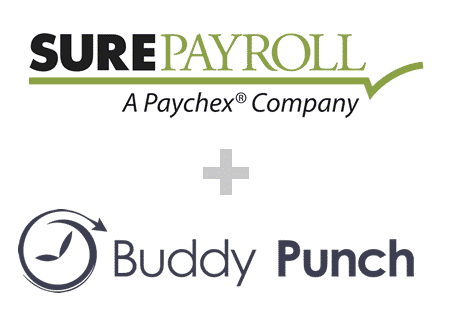 Export the file from Buddy Punch and import it into SurePayroll to instantly populate all of your hours and PTO. We have instructions on how to use our export/import process in our help section. If you have WorkDay account we have a flat file integration. 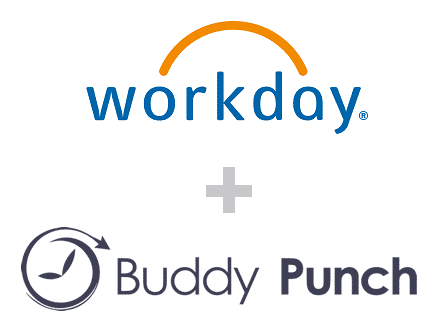 Export an XML file from Buddy Punch and import it into WorkDay to instantly populate all of your hours. The Buddy Punch online time clock software has a lot of other features and is highly scalable. If your company is still relying on paper-based or spreadsheet-based attendance systems, you’re likely leaving a large chunk of your profits on the table. Employees have enough to worry about when it comes to ensuring they meet their deadlines, so filling out timesheets is often the last thing on their minds. This results in timesheets being inconsistent, unreliable and don’t provide the necessary information that’s essential for time tracking to have any purpose at all. If your timesheets don’t tell you what your employees are doing and how long it’s taking them, it becomes all but impossible to ensure that your projects are moving forward efficiently and that goals are being accomplished. Luckily, with Buddy Punch, all of these issues become a thing of the past. Our software enables you to not only know precisely when your employees arrive to work and when they leave, but also tells you when they have breaks, what they do when they’re working, and how long it takes for them to complete specific tasks. All of this information can provide you with invaluable insights that allow you to make more intelligent decisions and build your project teams based on reliable data. But that’s not all Buddy Punch can offer you. We understand that today’s businesses often use at least a few different software tools to help increase productivity and automate tasks. That’s why we designed it to be as flexible and easy to use as possible, so we made sure that our software is very easy to connect with many popular business tools. With just a few clicks, you can add premium time tracking functionality to your projects, to-dos, tasks, and more, all without needing to switch between multiple apps. Buddy Punch is a time tracking app that can completely revolutionize how your business tracks your employee’s hours. Now let’s think outside the box a little. Perhaps you could use the system to zero in on how much time your employees are spending on specific support tickets. You could potentially use this system to help narrow down clients that cost you more because of the additional support they require. These insights can go a long way in helping you figure out the best way to use your employee time and dramatically increasing productivity. Our tracking system seamlessly integrates with numerous platforms such as QuickBooks, Asana, and Zapier, providing robust additional features and enhancing these solutions with advanced time tracking functionality. Our solution enables you to always know exactly what your employees are doing at different times of the day and review past activity, all from a single dashboard. The system takes just a few clicks to set up, and afterward, time tracking becomes an effortless and automated process that’s very easy for both you and your employees. We made sure to design Buddy Punch in a way that’s very easy to navigate and customize so that you can set it up in a way that meets your individual business needs and seamlessly integrates into your team’s current workflow. Because we understand that each business likes to run their operations differently, we offer both desktop-based and app versions of our software, which can be accessed from anywhere as long as there’s an internet connection. Investing in any software solution requires a return on investment, so choosing a system that is both effective and flexible is essential. With Buddy Punch, you won’t have to worry about integrating it with other tools, as it’s designed to make the process as simple as possible. You can connect to accounting programs such as QuickBooks, Excel, Paychex, Paylocity, Gusto, ADP Workforce Now, and many others with just a few clicks of a button. Our software also seamlessly integrates with the most popular payroll vendors, has an API, and can even be configured to work with over 1000 websites and apps via Zapier. QuickBooks is a top-rated software solution for small businesses, providing a wide range of tools that help to run your business more efficiently and reduce manual labor for everyday tasks. It has completely changed how SMBs approach invoicing, bookkeeping and billing – it can take over most of the basic accounting tasks, freeing up you and your staff for more important activities that come with running a business. You can create invoices and quotes with just a few clicks, track expenses, process payments and create receipts, all from one platform. Once set up, QuickBooks can become an incredibly powerful tool that automates a wide range of processes and allows you and your team to focus on more important tasks. 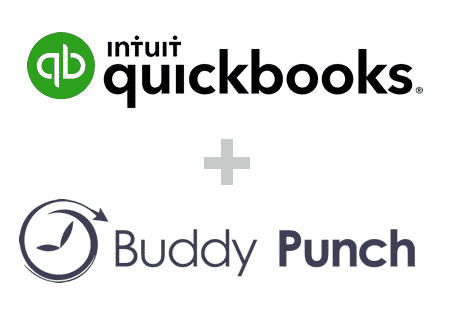 But how can Buddy Punch help enhance QuickBooks? Well, a reliable punch clock software that seamlessly integrates with QuickBooks can open up a range of new possibilities for your business. With the help of a time tracking software like Buddy Punch, you always know exactly what each employee is doing and, combined with QuickBooks; our software can help you gain a clear understanding of how the money you spend on your workforce transforms into results. Integrating the two systems takes only a few clicks, and once set up, you won’t have to manually enter timesheet information ever again – everything will be automated, and you can transfer time tracking data to payroll in seconds. With so many useful tools and software solutions available today, most businesses end up using more than one or two, which can cause its own problems. That’s where Zapier can be so useful – it’s an online tool designed to help even the most non-technical people to create interlinked functions between different apps and software tools. Zapier’s powerful technology allows it to integrate apps in just a few clicks and allows for seamless sharing of data between them, freeing up users to focus on more important aspects of running their business. Buddy Punch can be configured to work with over a thousand websites and apps with the help of Zapier, which can help to greatly enhance functionality and make your business run even more efficiently. You can connect our time tracking software with numerous different apps using Zapier’s unique “Zap” system. A Zap is a blueprint for a task that you want to do again and again. For instance, you can set up a trigger to automatically perform an action on app number two if a particular action occurs on app number one. Once set up, the entire process becomes automatic and doesn’t require any manual oversight on your part. 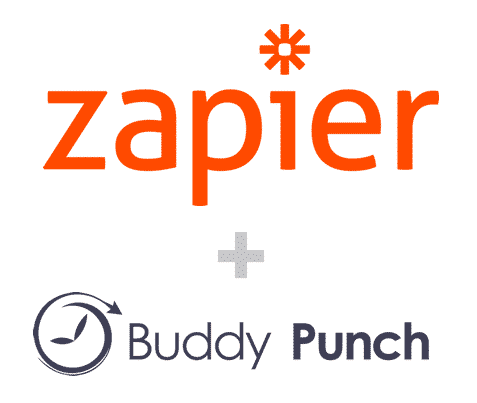 Zapier’s intuitive platform allows to mix and match thousands of apps, creating new possibilities for how you can get the most out of Buddy Punch. Why is Integrating Buddy Punch with Other Systems So Beneficial? Numerous benefits come with integrating a comprehensive time clock system like Buddy Punch with payroll solutions. Besides the obvious advantage of almost eliminating the need for paper timesheets, the time it takes to approve timesheets or PTOs is reduced dramatically and can contribute to a significant increase in productivity. Your HR resources staff can focus on strategy and big picture tasks instead of always being overwhelmed with paperwork and timesheet approval. This can result in better retention of your top employees, as well as more effective recruitment strategies. Easy systems integration eliminates data entry errors, reduces the time it would take to run multiple apps separately, and provides your employees with a more convenient way to enter and approve time tracking data, transferring data to your payroll processor, and much more. Finally, with an integrated payroll system, you can safeguard against noncompliance of wage and hour claims. All the information about time records can be retrieved from the archive in an instant, which allows you to show the exact amount of hours that an employee has worked. But that’s not all – here are a few more benefits you can expect. Manual time tracking simply takes too much time to still be considered a viable option, especially when tools like Buddy Punch are available to make that process almost automatic. You’ll be able to easily track vacation time, sick days, company holidays easily, and have your employees put in their own PTO requests from any device in just a few clicks. Combining time tracking with payroll eliminates manual labor from tasks such as tracking when your employees work and what projects they are working on – everything is automatically recorded by the software, and you can review it at any time. Buddy Punch collects information on autopilot, and that’s not only a huge timesaver but also a way to ensure that data entry errors are reduced to a minimum. Producing accurate reports and timesheets about the work of your employees is critical, and it’s never been easier to ensure that you always have the correct data than it is now, with the help of Buddy Punch. One of the most common challenges faced by accounting and payroll professionals is tracking time on multiple locations, especially if multiple departments are involved. Some departments still use old time tracking systems that make sharing information between systems difficult and time-consuming, while at the same time significantly reducing the accuracy of the data being transferred because of increased risks of human error. Well, with Buddy Punch, these problems become a thing of the past. Our software can easily keep track of all your employee’s time in one place, no matter their location or department. This allows you to seamlessly transfer data between departments, to accounting, payroll, or billing, dramatically cutting the amount of manual labor it would otherwise take. Even the most comprehensive business systems sometimes lack essential reporting features or don’t meet all of your business needs. That’s understandable, considering how quickly the industry is evolving and how many new possibilities become available with analytics every year. A common problem many business systems face is the inability to generate reports on time tracking data. That can be a big problem because, for many companies, time tracking data is a big part of the equation in the decision-making process. Because of the flexibility offered by Buddy punch, you can simply integrate our time tracking solution with many of the most popular business systems and gain a greatly expanded reporting functionality, syncing data across platforms and make better, more informed decisions. Buddy Punch can create several different types of reports, which can be downloaded both as an Excel file or a PDF. Want to allow management to take more control of their employees are their time cards? Our Managers feature can help you achieve that. Upgrade any employee to a manager and give them either View or Approval access for those that report to them. View allows them to merely view their employees time cards where as Approval access allows managers to make edits to the employees information. You decide how much control you want to give to a manager over their employees.